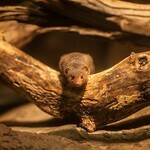 Small, burrowing mammals, dwarf mongoose can reach up to 10 inches in length. 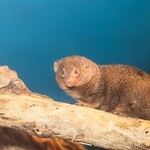 Members of the species have brown fur with rounded ears and a long tail. This species can be found throughout eastern Africa, from Somalia to South Africa. Common. 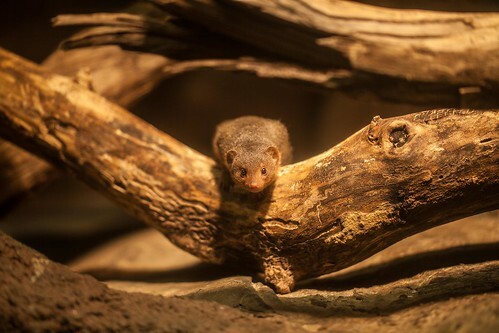 Lincoln Park Zoo participates in the Dwarf Mongoose Species Survival Plan®, a shared conservation effort by zoos throughout the Association of Zoos and Aquariums. 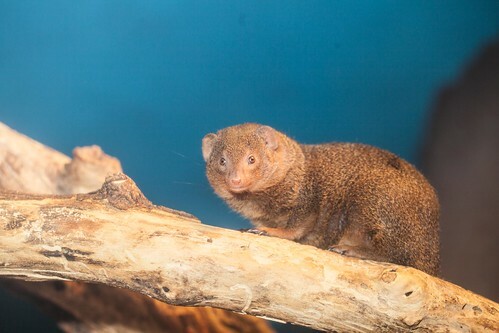 Dwarf mongooses occupy a variety of habitats, including savannas, forests and even mountainous regions. 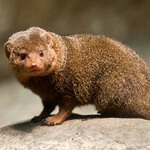 Dwarf mongoose primarily eat insects, but eggs, fruit and small lizards also make up part of their diet. 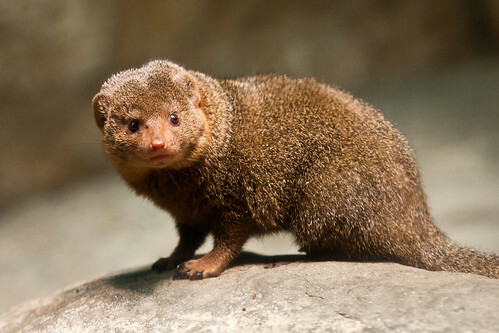 Dwarf mongooses are a highly social species, living in groups of up to 40 members. A dominant female is the highest-ranking member of the group, initiating movements between burrows and enjoying first access to food. The dominant female and her mate are typically the only members of the group to breed. Other adult members of the group help to raise young by cleaning them, carrying them and bringing them food.